You know how sometimes you just need some chocolate? And not that virtuous square of dark chocolate. I mean some creamy, delicious chocolate that rolls around in your mouth and tastes like heaven? If you know what I’m talking about, then this post is for you. But when I need something a bit more decadent, like when I’m enjoying a glass of red wine before bed in the evening, I reach for these babies. These are my healthy creamy chocolate truffles, and there’s not a drop of refined sugar in them. Instead, they’re sweetened by pitted dates, and pack a nutritional punch of protein and antioxidants. Yummy AND good for you? You bet! 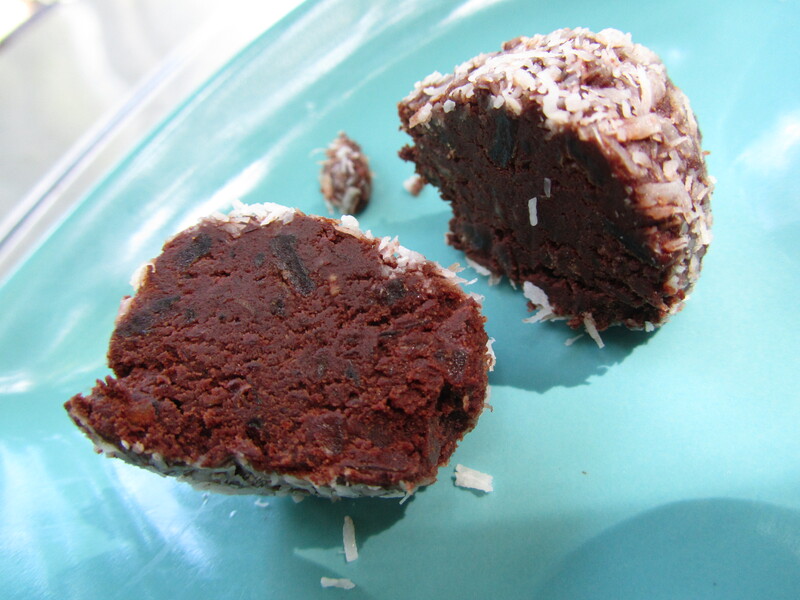 I roll them in coconut, but you can use more cacao powder, nuts, or whatever you desire. I hope you love them as much as I do! 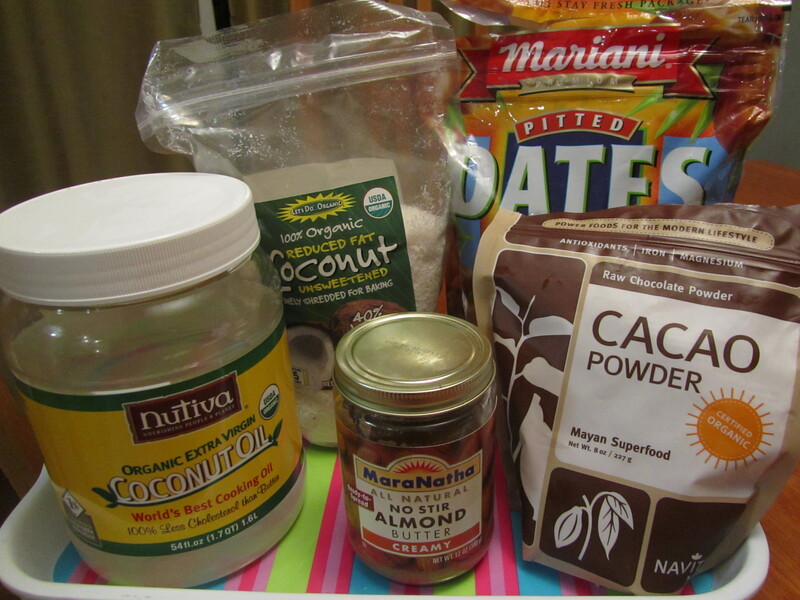 In your blender or food processor, combine dates, cacao powder, almond butter and coconut oil on low speed until dates are fully pulverized and the mixture is creamy. 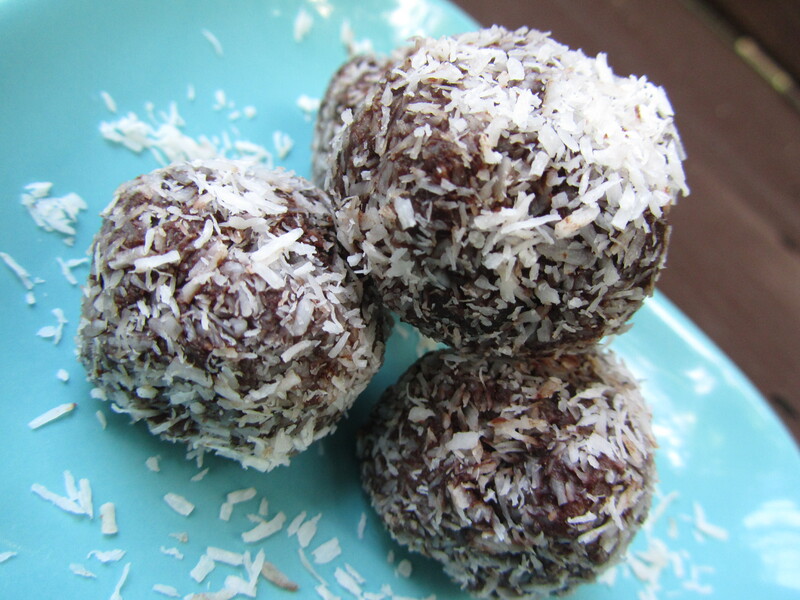 Scoop chocolate mixture out by teaspoonfuls and roll in coconut to form truffles. Would love to hear how you like these! What wheat and refined sugar-free snacks do you keep on hand? This entry was posted in dessert, Gluten Free, Refined Sugar Free, snacks and tagged chocolate, chocolate truffles, dessert, gluten free, healthy chocolate truffles, Paleo, raw cacao powder, recipe, refined sugar free, snacks, sugar free truffle, truffles. Bookmark the permalink. Beautiful pictures Jen! Makes me want to eat dates and chocolate and I don’t even care for dates!